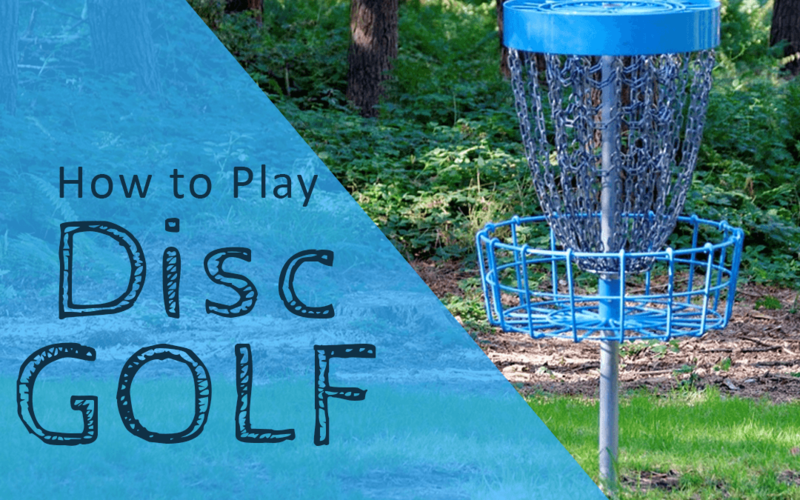 D isc Golf, also known as Frolf, is a Frisbee toss game, tossing a frisbee up to 3 par to get your Frisbee into the Disc Golf basket. Disc Golf is rated one of the fastest growing outdoor sports in the USA. There are many new courses popping up and many new competitions and tournaments. I am not the biggest fan of traditional golf, but my group and friends and I all love playing Frolf (Disc Golf). The games are much faster, you do not have to wear silly pants, and do need to pay for expensive course fees or clubs. Getting out and playing a game of disc golf is truly fun for people of all ages. It is a very easy game to play, but hard to master, and is something you can not just play once. What I enjoy about Disc Golf is you can play with as little as 2 players, or up to 10 more people. Disc Golf and Ultimate Frisbee often get confused but they are very different. Disc Golf is similar to golf and meant to be played on a course. Ultimate Frisbee is played with teams of 7 or more and an active team game. Disc Golf is very similar to traditional golf, but has a few distinct differences. Instead of using clubs and balls, you throw frisbees instead. Instead of hitting into a small hole you throw into a target or basket. Before the new improvements of the chain linked baskets, players would throw frisbees at targets hanging from trees, garbage, cans or other random targets. Keep reading for how to make your own course and ideas for targets that you can use. Most disc golf games are played on a course of either 9 or 18 holes. The objective of the game like golf is to complete each hole in the least amount of throws as possible. You start off from what is called the tee and throw the frisbee trying to land in the target. In the end the player with the lowest cumulative score wins. One of the exciting differentiating factors is the wide varieties of landscapes and terrain some courses are created on. This uneven land with trees, bushes, and much more may not have been suitable for a golf course but makes an exciting disc golf course. Throwing from Tee – Each hole begins by throwing your disk from behind the tee line. If it helps you can take run up to the line, as long as you do not cross it before letting the disc go. The player with the least number of throws on the previous hole always starts first. After teeing off, the player whose disc is farthest from the hole always throws first. Throwing Where Frisbee Lies: After your first disc throw from the starting point, you will need to throw it again from were the frisbee stopped. When your frisbee lands on the fairway you are allowed to mark where this spot is and do a run up as long as you are not within 10 meters of the target.If you are within 10 meters of the target or land outside of the fairway (like under a tree) you must leave one foot on the spot where the frisbee lands. This is called the dogleg and will happen more than you think. Out of Bounds or Unplayable Throws – Any disc that land out of bounds to the point where you can not throw is a 1-point penalty. This includes things like water, roads, parking lots, or deep into tree bushes. With this you will take you penalty shot and throw at point 3 feet from the boundary where you disc flew out. Completion of Hole – When your flying disk lands and stays within the chains is Completion of Hole. Remember that it has to land in the chain, because if it sites outside or lands outside the basket it does not count as a completion.Once all the holes have been completed and scores have been added up, the player with the least number of throws wins. There are many ways to throw and grip the frisbee depending on how far or close you are to the basket. The 2 major throwing techniques are backhand or forehand (sidearm). Backhand involves pulling in front of your body for the traditional throw that results in further for distances. Forearm is more a snap from the side of the body and what I like to use for shorter distance puts and more accurate. Practicing and understanding how to use different shots can greatly improve a players score. One of the most effective ways to throw longer is when players use what is called a run-up during their long-distance throws. I like to call this my Happy Gilmor Approach. In case you have not every played disc golf, it is important to point out that these are specials frisbees (discs) not designed to throw back and forth with another. Different discs are designed for longer distances, shorter distance, and some even designed to cut through wind. Much life the traditional golf where people bring bags with 10 or so different clubs, many Disc Golf players bring many different discs for different uses. There are 3 types of frisbee golf discs that are most popular. Drivers are for distance drivers go the farthest. Fairway drivers designed for distance and accuracy, midrange shorter distance for approaching the basket. And putters which are the most accurate when trying to land in the basket. There are many different types of discs and packages to choose form depending on how competitive you want to be. Ideally you will want to have at least a driver (or fairway) disc and a putter when playing for fun. Discs range in price, and for good reason. The prices reflect the difference in quality. Golf discs are more expensive then normal, but I recommend getting a bundle, so you can have friends join or a few of the sets below. Disc Golf has a large community based around it. There are over 3,000 disc golf courses in the USA alone, and many more to come. Many of these are public courses and free of charge. Always leave the course and nature in the same way you saw it. If possible always bring back more then you take in. Pick up extra garbage, and always help a fellow player out. Always give park users the right of way so more people can enjoy this amazing game. If you are looking for any other Frisbee Games make sure to view our other blog and see our outdoor games list.